Oil Delivery Company | Lancaster, PA | BG Mellinger & Sons Inc.
B.G. Mellinger & Son has several ways to have your fuel oil delivered. Delivery can be set up with approved credit or budget amounts. For Customers who have not set up a credit account and can not be at home at the time of delivery it is also possible to leave a check for the driver or prepay on your account so that oil can be delivered without you being home. As an additional service to you the customer the driver can bleed the pump if your tank has run out of oil. Our oil delivery company does not charge extra for this service if the driver can do it at the time of delivery. 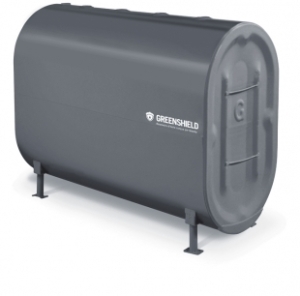 We also sell and install Granby Tuff tanks. View Granby Tuff tanks on their website.